Thank you for your understanding of the loss of the transformer, power loss, and resulting middle school closure for Wednesday, May 30th. It is unfortunately not possible to reschedule the honors day programs, which would have been held today (May 30th). Students will receive their certificates from their teachers in their classrooms tomorrow – Thursday, May 31st. The 6th grade field trip to Swing n’ Things will go on as scheduled. Students are permitted (not required) to bring their cell phones and use them while at Swings ‘n Things. Students must bring their own lunch to Swings ‘n Things. Students may bring money for snacks, drinks, game tokens, and/or batting cage tokens. The 7th grade field trip to Buckeye Lanes will go on as scheduled. Students are permitted (not required) to bring their cell phones and use them while at Buckeye Lanes. Students may bring money for snacks and drinks. The 8th grade promotion program will go on as scheduled. Students are encouraged to dress up and to use good taste and represent themselves in a positive manner. We prefer students not wear jeans or shorts. Students are permitted (not required) to bring their cell phones and use them while at the breakfast and after the promotion program. Thank you very much for your cooperation, support, and understanding. Advanced class placement, team assignment, and supply lists will be mailed home for all current 6th and 7th grade students on June 15, 2018. A transformer blew at OFMS around 3:00 PM Tuesday. The building has no power. Therefore, OFMS will be closed on Wednesday, May 30, 2018. OFMS will be off limits all day and night on Wednesday, May 30, 2018. All power will be shut off at OFIS and OFMS from 3:30-7:30 PM on Wednesday for replacement of the transformer. Therefore, all evening activities scheduled for Wednesday, May 30th are canceled at both OFIS and OFMS. All other buildings in the district will be open Wednesday, May 30th including OFIS (3:30 PM). The two buildings run on different power sources. The OFMS Honors programs cannot be rescheduled. Certificates will be distributed to students on Thursday in their classrooms by their team of teachers. Locker clean out will need to be done on Thursday, May 31st at 3:10 PM for both 6th and 7th grades. Sixth graders will need to return from Swings ‘n Things by 3:05 PM on Thursday. The 6th graders will walk back to OFMS beginning at 2:55 PM. The 8th graders will clean out their lockers with their parents after the promotion program at 12:00 PM on Thursday. Thursday will go as scheduled (8th grade promotion program, 6th and 7th grade field trips) with the adjustment of locker clean out timing. EIghth grade students who need to complete their Algebra final exam need to speak with their math teacher (Mr. Willson or Miss Mason) on Thursday to discuss which of the following options they choose to do – come in early on Thursday, stay after the promotion program on Thursday, or come up to school on Friday at 1:00 PM to finish the exam in the main office. The end of school is both an exciting and anxious time for our students. We will make sure to close out the year on Thursday on a high note with the appropriate send-off. Due to a significant power outage impacting our middle school building only, Olmsted Falls Middle School WILL BE CLOSED on Wednesday, May 30th. All other district buildings – including Olmsted Falls High School, Olmsted Falls Intermediate School, Falls-Lenox and the Early Childhood Center WILL REMAIN OPEN with school in session. 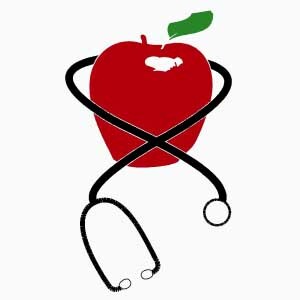 Scheduled kindergarten screening appointments at the Early Childhood Center will also proceed as planned. Again – only Olmsted Falls Middle School will be closed on Wednesday, May 30th. Middle School families should watch for additional updates from Mr. Kurz tomorrow. Thank you for your understanding. We should be able to reopen the Middle School building to students and staff on Thursday. If you have specific questions pertaining to any activities or events planned for tomorrow at Olmsted Falls Middle School, please contact the school directly. Tradition in Bulldog Country. All graduating Bulldogs received a congratulatory yard sign last night, on the eve of the Class of 2018 Commencement Ceremony. Many thanks to OFMS teacher Dan Largent and the Olmsted Falls Education Association for coordinating the purchase, assembly and personal delivery of these signs. A volunteer group of administrators, teachers and staff – and in many cases, their children too – made these special deliveries throughout the afternoon and evening yesterday to ensure that all grads woke up to a congratulatory sign this morning on graduation day! CLASS OF 2018 COMMENCEMENT @ CSU WOLSTEIN CENTER – TONIGHT 8:00 PM! Olmsted Falls City School District extends best wishes and congratulations to our graduating seniors and their families as they prepare for tonight’s commencement ceremony! Enjoy this special evening – you have earned it! The Commencement Ceremony for Olmsted Falls High School’s Class of 2018 will take place this evening – Thursday, May 24th – at the Cleveland State University Wolstein Center. The ceremony begins at 8:00 p.m. All arewelcome; tickets are not required. The Olmsted Falls High School Class of 2018 will travel across the state – and the country – to attend colleges, technical schools and military service. An interactive map may be viewed by clicking HERE to see exactly where our Bulldogs will be heading this fall. 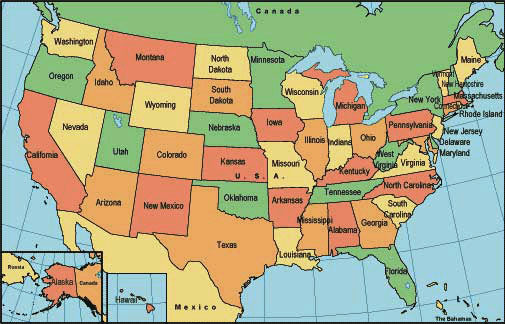 Once the map is opened, simply click on each location for additional information! Best of luck to all of our Class of 2018 Bulldogs! Please note that Google accounts for the Class of 2018 will be disabled as of August 1, 2018. Any graduating senior wishing to download your files or transfer them to a personal Google Account needs to do so by August 1st. The Olmsted Falls Board of Education approved the district’s latest Five-Year Forecast during their regular monthly meeting held on May 17th. The Five-Year Forecast is a planning tool that is required by the State of Ohio and shows three years of actual financial data, along with current projections of what the district plans will happen from a financial perspective over the course of the next five years. All school districts must submit Board-approved Five-Year Forecast documents bi-annually, each October and May. The Five-Year Forecast is a dynamic budgeting tool that helps our Treasurer’s office plan and demonstrate the district’s effective and efficient annual operations and how we continue to be good stewards of our community’s taxpayer dollar. To review the full Five-Year Forecast Report, Board approved on May 17, 2018, please click HERE. To view a one-page overview of the current Five-Year Forecast, please click HERE. As always, if you have any questions about district finances, please contact Treasurer/CFO Ms. Emily Dales at 440.427.6000. Many thanks to local WKYC meteorologist Matt Wintz for his awesome weather assembly for our kindergartens at the Early Childhood Center last week! Our itty bitty Bulldogs learned so much and had LOTS of fun! They were also featured on Mr. Wintz’s weather report on WKYC Ch. 3 this past Sunday night! 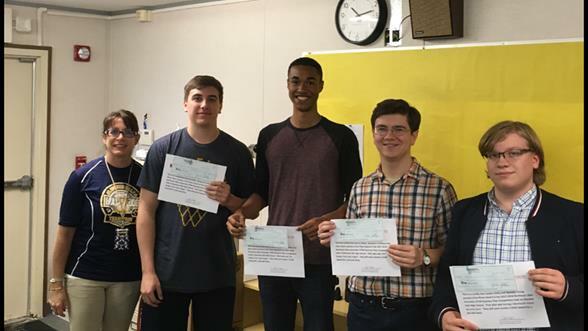 Congratulations to six OFHS students who were winners of the 2017-2018 Business Plan competition sponsored by Entrepreneurial Engagement Ohio and the Believe in Ohio program. The two winning plans tied for 1st place based on an outside judge score. Team “Fodiens Inc.” won with their unique idea for an easier to use post hole digger called the “Badger Post Hole Digger.” The team includes Ben Pohlman, Ethan Short, Jeremy Shafer and Spencer Young. Team “Sonogo” won with their idea for a stronger, safer entry door named the “Ubermacht” with teammates Spencer Young and Jayden Batty. Congrats to our winners! The 2017-2018 Business Plan Winners received $100 each for their top plans in our district and were honored during an Award Ceremony held May 15th. Entrepreneurial Engagement Ohio is a nonprofit corporation that promotes student and community awareness as to the challenges and opportunities the innovation economy will present in the future. It also provides educational programs and materials to help develop the entrepreneurial, economic, business and scientific literacy and 21st Century skills that will be needed in the future, such as Believe in Ohio’s “Introduction to the Innovation Economy of Ohio” online courses. For more information, visit www.eeohio.org. Believe in Ohio (BiO) is a free program from The Ohio Academy of Science that helps students prepare for the future. The program was developed in collaboration with Entrepreneurial Engagement Ohio with the support of the Ohio Board of Regents and the Ohio General Assembly. BiO is the only Ohio student STEM Education Program to integrate entrepreneurship and innovation as pathways to create future jobs. It was developed to be able to reach any high school student in Ohio, with a special emphasis on the underserved. OFHS students and parents may view the list of courses you/your student has scheduled for the 2018-2019 school year directly in Power School. Simply click on the CLASS REGISTRATION link on the left side of the screen when logged in. Please contact your student’s school counselor should you have any questions.​Counselors are available through June 7th to discuss course selections for the next school year. THE DEADLINE TO MAKE ANY COURSE ADJUSTMENTS IS THURSDAY, JUNE 7th. The last day of school for students in grades 1 to 12 is next Thursday, May 31st! These final weeks and days of the school year are always an exciting time across the Olmsted Falls City School District with so many activities and events! 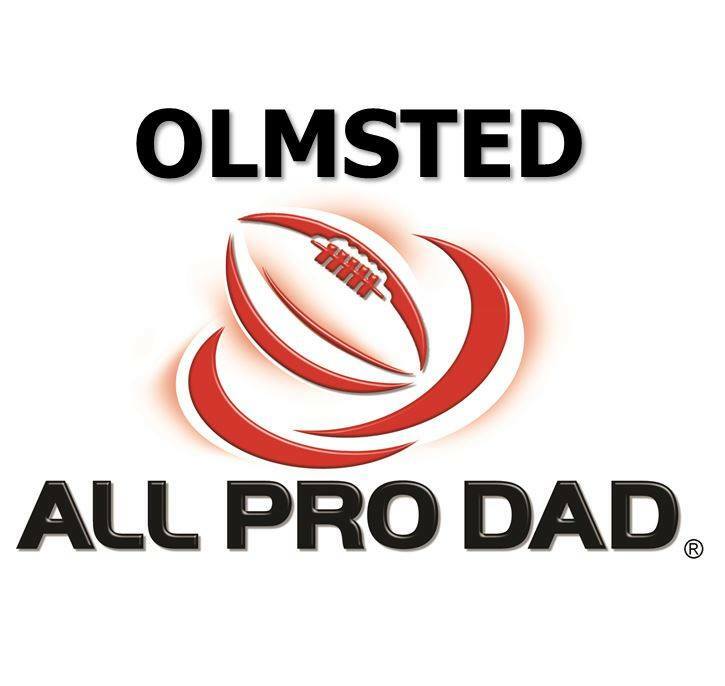 As Olmsted Falls High School prepares to go digital with their awards, the Olmsted Falls Athletic Department programs will be giving away the trophies of their programs for all past regular season tournaments. 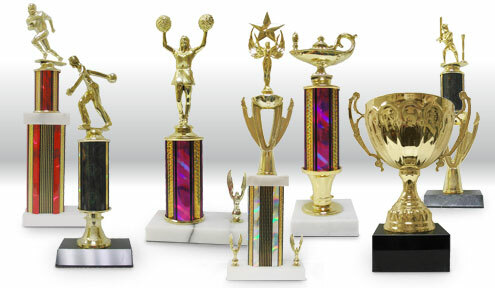 Wednesday, June 6th 8:30 a.m. – 2:00 p.m.
Thursday, June 7th 8:30 a.m. – 2:00 p.m.
Friday, June 8th 8:30 a.m. – 2:00 p.m.
All remaining trophies that are not claimed by 2 p.m. Friday, June 8th will be donated to a local charity and youth groups for refurbishing and reuse. If you have any questions, contact rcoxon@ofcs.net. CareDox: We are now using a new computer program called “CareDox” in all our health clinics. This will allow the clinic staff to send emails through the program to alert parents to vision and hearing screening results, request missing immunizations, notify parents of clinic visits, etc. Please add “Caredox” to your list of email contacts to ensure these messages are not going into your spam/junk folder. Attention parents of incoming 7th graders: The state of Ohio requires that every incoming 7th grader receives the Tdap vaccine and the Meningococcal vaccine PRIOR to entry into the 7th grade. You will be required to enter the vaccination date when you register this summer. Please be aware of this requirement and plan to have this taken care of during their summer break. Attention parents of incoming 12th graders: The state of Ohio requires every incoming 12th grader receives the Meningococcal vaccine PRIOR to entry into the 12th grade. You will be required to enter the vaccination date when you register this summer. Please be aware of this requirement and plan to have this taken care of during their summer break. Please remember that all vaccinations must be up-to-date per the law of the state of Ohio. If your student is non-compliant with the required vaccinations, they will be excluded from school starting on the 15th day. Immunization waivers are available online if you choose not to vaccinate your student. Are you looking for a way to get rid of all those Legos you’ve stored at your house that have gone unused for years?! If so, OFIS could use them- A LOT! We are planning STEM (Science/Technology/Engineering/Math) activities that require many different items. One of the most versatile items are Legos. Any shape, color or size. We are accepting donations from now until the end of the school year. Push, pull, or drag those tubs and boxes to the OFIS office! We appreciate all your support. We will keep you posted on the activities that the students are doing. Your Legos are destined for new memories and many more creations! Thank you for your continued support! Any questions? Contact Mike Schafer @ 440-427-6573. Parents needing to designate a single alternative pick-up/drop-off address for their students in the 2018-19 year must submit an Alternative Transportation Form by FRIDAY, JUNE 15TH. Each year new forms are required even if your requested pick-up/drop-off site is the same. Please click HERE for additional information and to access Alternative Transportation Forms for the 2018-19 school year. Please contact the Transportation Department at 427-6350 with any questions. Students now in grades 5-7 can enjoy some fun making music this summer. The Olmsted Falls Summer Band Program offers music, fun and games. Camp dates are June 4th-7th and June 11th-14th and each session runs from 8:30-10 a.m. for grades 5-7 in concert band and 10:15-11:45 a.m. for grades 6-8 with jazz/blues improvisation. The cost is $80 for each class. Families receive $10 off per additional child or second group or a participant in an OFCS athletic camp. Each camper receives a T-shirt. For a detailed flyer with registration form, click HERE. If you have questions, email jbudd@ofcs. 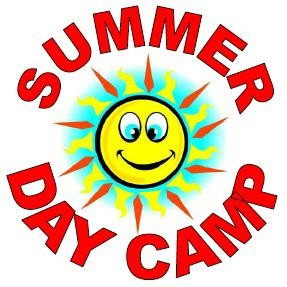 Camp will run the week of June 11-15. Visit campinvention.org or call 800.968.4332 to register. SAFETY TOWN REGISTRATION CONTINUES – ALL SESSIONS ARE FILLING UP FAST! All children entering Kindergarten this Fall are invited to attend Safety Town, a child accident prevention program. It introduces safety awareness and preventative procedures to the children. They will practice real life situations before being confronted with them on their own. Safety Town is the foundation of safety education. The Olmsted Early Childhood PTA sponsors this program and will be held in June at Falls/Lenox Primary School. There are three separate session with different times from which to choose. Session 1 from June 4-8 has two times, 9-11:30 a.m. and 12:30-3 p.m. Session 2 from June 11-15 has three times: 9-11:30 a.m, 12:30-3 p.m. and 6-8:30 p.m. Session 3 – June 18-22 has two times, 9-11:30 a.m. and 12:30-3 p.m. This program is staffed by volunteers who seek to unite home, school and the Olmsted community in promoting education, health and safety of children, youth and families. Children who attend will practice safety “out on the town.” We have a miniaturized city layout designed to teach children safety near roads and railroad crossings while on their bikes or walking in their neighborhood. Videos, songs and lessons with visits from local police, fire and bus departments, as well as field trips to police and fire departments, all help your child enjoy and understand what he or she is learning. To register, go to the Olmsted Early Childhood PTA website by clicking HERE. We are accepting online registration and payment as well as mail in ones. The cost is $50 per child. 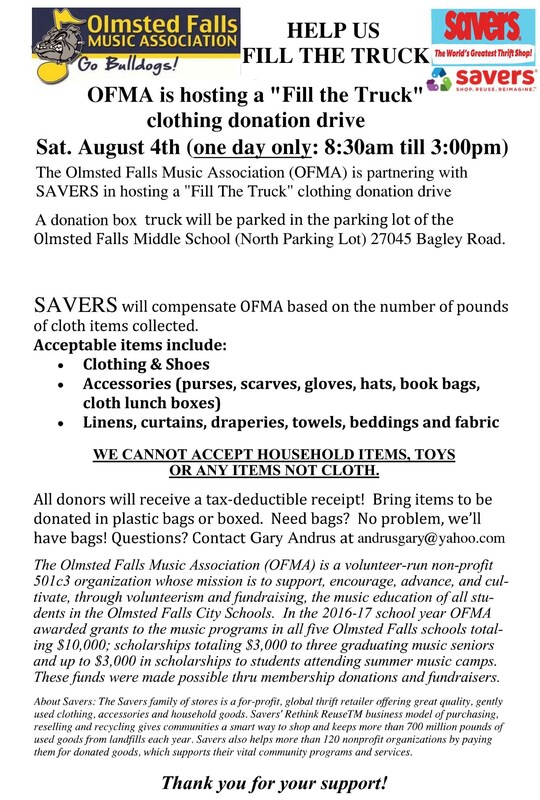 The Olmsted Falls Music Association is partnering with Savers to bring Fill the Truck – a donation collection vehicle – to the community. It will be located from 8:30 a.m. to 2:30 p.m. August 4th at the Olmsted Falls Middle School’s front parking lot. Items that may be donated are clothing, shoes, such accessories as purses, scarves, belts, hats, book bags, cloth lunch boxes, linens, curtains, draperies, towels, bedding and fabric. It will NOT accept household items, toys, books or items that are not cloth. To download a flyer about the event, click HERE. The Academy for Dramatic Arts offers a variety of summer theater programs for youth ages 6 – 18 including “Imagination Nation” (for ages 6-8), “One Act Wonders” (ages 9-16), and “Group Vocal Technique and Repertoire” (for ages 10-13; and ages 14-18). All classes are held at Christ United Church in Olmsted Falls and meet weekly for 8 weeks. For additional information, please visit http://www.academyfordramaticarts.net/summer-theatre-camp/. Just a reminder that there will be NO SCHOOL FOR STUDENTS on Election Day – tomorrow, Tuesday, May 8th. It is, however, a staff in-service day. 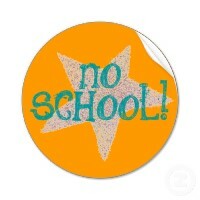 School for students will resume on Wednesday, May 9th. This adjustment to the current school year calendar was announced in March and was made in an effort to maximize the safety of our students. Olmsted Falls City Schools made the decision to cancel school for students on the upcoming Primary Election day on May 8th, in addition to the normal fall election closure each November. OFCS will use this day as a staff development day for all staff. Moving forward, the district will plan to have no school for students on election days held in both November and May each year – and this will be reflected on the district calendar. The current 2017-2018 OFCS School Year Calendar (updated in March) can be accessed by clicking HERE. The 2018-2019 OFCS School Year Calendar can be accessed by clicking HERE. 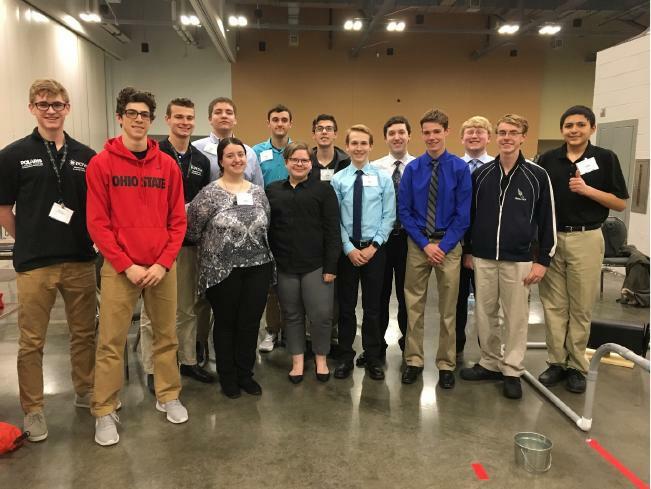 Several students competed in the Ohio SkillsUSA Conference in Columbus April 24th-25th. The Engineering class students competed in Automated Manufacturing, Additive Manufacturing, Mobile Robotics, Robotics Urban Search and Rescue, Robotics and Automation and Technical Drafting. Congratulations to high schoolers Charles Reitz and Evan Martin who placed first in Robotics Urban Search and Rescue. Students Sarah Witt and Alison Kranisk also placed first in that class at the middle school level. These four will compete at the June National competition in Louisville, Kentucky. They are shown in the photos to the right. Good luck! 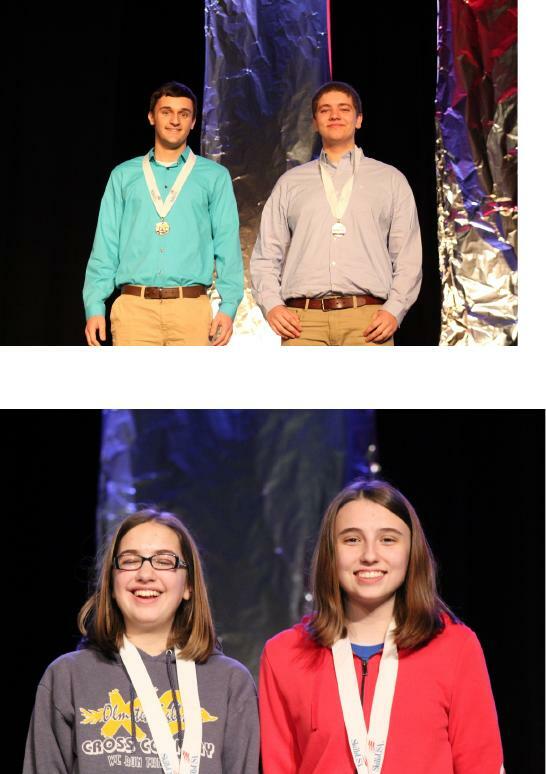 Students who placed second in their competitions were Josh Drahony and Cole Zehe, Additive Manufacturing; Tyler Kastl, HVAC; Chris Salveter, Firefighting and Emily Ulee, Health Knowledge Bowl. Placing third were Jacob Kastl, Sheet Metal and Skyler Dougher, job interview. Congratulations to all who competed! 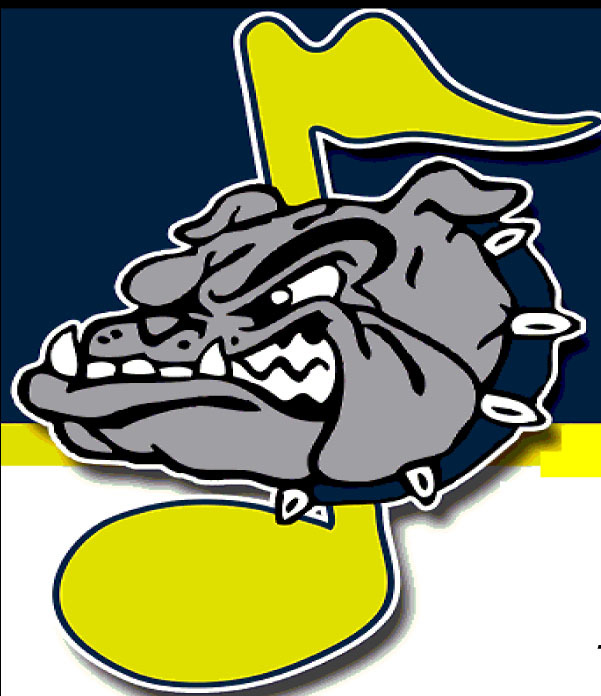 DON’T MISS OFHS SPRING BAND CONCERTS –WEDNESDAY, MAY 9TH @ 6:15 & 8 P.M. Please note that there is no spring concert performance on Saturday, May 12th. This date was originally listed in the annual Activities Calendar, but has since changed. Olmsted community students, parents, staff and community members are invited to participate in an online survey regarding the work of the Portrait of a Graduate an Olmsted Graduate committee in recent months. Thank you in advance for sharing your input with Olmsted Falls City Schools! Congratulations to Bulldogs Lilly Higgins (far left), Kelly Strang (2nd from left) and Elise Grant (3rd from left), pictured here along with winning students from Berea City Schools. Lilly Higgins, grade 8: First place in the Northeast Ohio District and Third in the state of Ohio. Elise Grant, grade 8: A top six local winner. Kelly Strang, grade 7: Third place in the Northeast Ohio District. The students attended an awards dinner Tuesday where they received a personalized plaque and an American flag for their efforts. Congratulations to these three young ladies and all who entered this essay contest. On Tuesday, May 1st, Olmsted Falls High School sponsored “College Day” for all seniors. 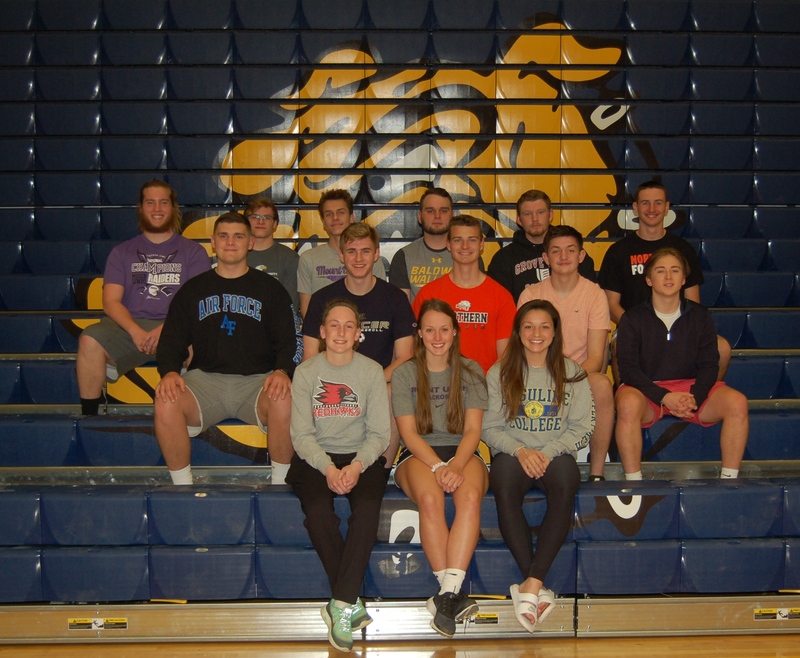 The Athletic Department would like to recognize our Bulldog student-athletes who plan on continuing their academic and athletic careers at the college level. The annual Olmsted Falls High School Art Show is May 11th. Alumni, staff and the community are invited to share your hidden talents to enter your artistic work in the show. Your work will be placed in a special area for all to see. The entry deadline has been extended to this Wednesday, May 11th. A special form to complete and return to Amber West – awest@ofcs.net – is available by clicking HERE. Display boards and table space will be available. Hope to see your work there! Students, faculty, special invitees and community members will display their creativity at the Annual May Show this Friday that runs throughout the day in the OFHS gym. Whether it is watercolor painting, photography, wood working, computer generated art, sewing or other forms, you’ll certainly see some amazing pieces. The Olmsted Falls Middle School Media Center will be hosting a Scholastic BOGO sale that will run starting this Thursday, May 10th – Friday, May 18th. The BOGO sale will be fully stocked with the latest titles and series. This is a great opportunity to stock up on summer reading books. Dads, show off your dance steps! The Olmsted All Pro Dad and the FL/ECC PTA are sponsoring their first-ever Daddy/Daughter Dance. The event will take place from 6:30-8 p.m. on Friday, May 11th, in the Olmsted Falls Middle School Cafetorium. Daughters in Kindergarten through grade 5 are invited to attend with their fathers. To view more information, click HERE for the flyer. Advanced registration has closed, but those still interested in attending can pay $15 entry fee per family at the door. Hey, dads…you just may learn a few new steps. Looking forward to seeing you on the dance floor! The Olmsted Falls Athletic Boosters organization has once again partnered with Southwest General Hospital and has reserved Wednesday, May 23rd as the annual physicals date for our 2018 – 2019 student-athletes. For additional information – including the link to register – please click HERE. To register, go to the Olmsted Early Childhood PTA website by clicking HERE. We are accepting online registration and payment as well as mail in ones. Payment reserves your child’s spot and must be received by May 11th. The cost is $50 per child. It’s music to many mouths. The Olmsted Falls Music Association will have its fundraiser from 4-8 p.m. Saturday, May 12th at the North Ridgeville Chipotle eatery, 32223 Lorain Road, between Bagley Road and I-480. Just bring in the flyer you may download by clicking HERE, show it on your phone or tell the cashier you are supporting the cause to ensure that 50 percent of your proceeds will be donated to OFMA. PLEASE NOTE: ONLINE ORDERS ARE NOT INCLUDED IN THIS FUNDRAISER. YOU MUST ORDER IN PERSON. 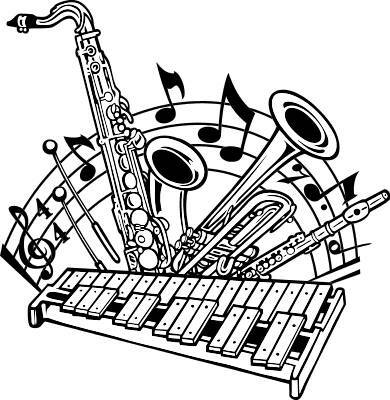 Camp dates are June 4th-7th and June 11th-14th and runs from 8:30-10 a.m. for grades 5-7 in concert band and 10:15-11:45 a.m. for grades 6-8 with jazz/blues improvisation. The cost is $80 for each class. Families receive $10 off per additional child or second group or a participant in an OFCS athletic camp. Each camper receives a T-shirt. For a detailed flyer with registration form, click HERE. If you have questions, email jbudd@ofcs.net. 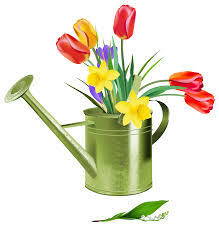 It’s that time of year for the Olmsted Falls Boy Scout Troop 201 annual flower sale on May 12th, May 13th and May 19th. The hours are 9 a.m. to 5 p.m. Saturday, May 12th; 9 a.m. to 2 p.m. Sunday, May 13th – Mother’s Day and 9 a.m. to 4 p.m. Saturday, May 19th. The sale will be at a new location this year – in the parking lot between the Olmsted Falls Library and Olmsted Falls City Hall at the corner of Bagley Road and Mapleway Drive. The Scouts will have hanging baskets, flats of annual flowers, herbs and vegetables available at good prices. Hanging baskets make great Mother’s Day gifts! Stop by, support scouting and shop locally! We are also collecting donations for the Olmsted Falls/Olmsted Township food pantry, so please consider dropping off a nonperishable food items when you shop. Contact Mike or Sharon Knaggs, 440-463-8106, with questions. 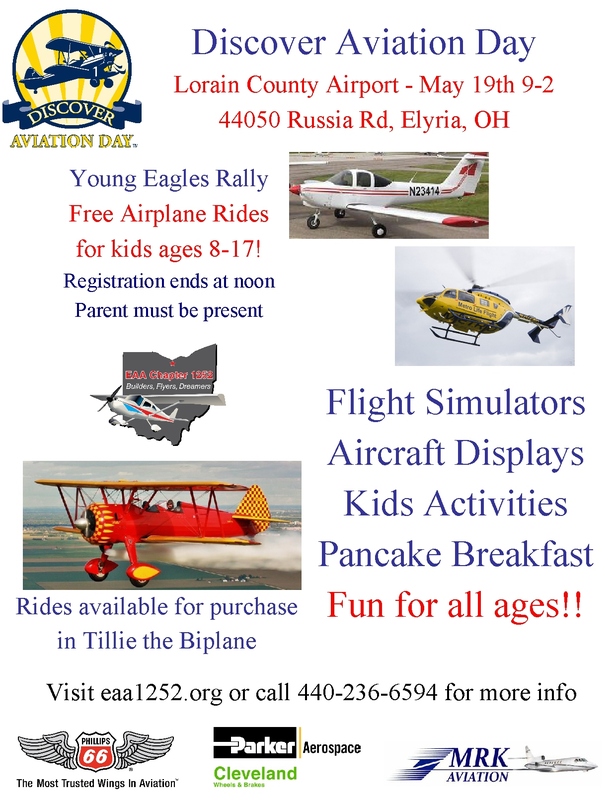 Experience free airplane rides for kids ages 8-17, flight simulators, aircraft displays, kids activities and a pancake breakfast at the Discover Aviation Day from 9 a.m. to 2 p.m. May 19th at the Lorain County Airport, 44050 Russia Road, Elyria. Rides to purchase are available on Tillie the Biplane. For more details, go to eaa1252.org or call 440-236-6594.